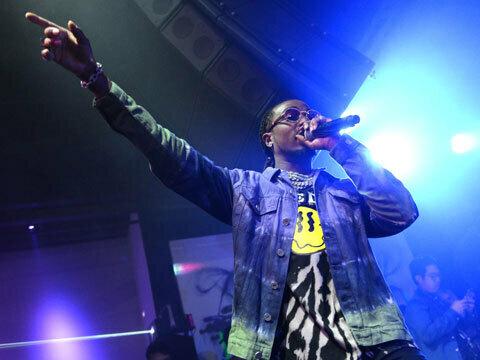 When it comes to balancing hip-hop culture and fashion, look no further than rapper Quavo! Young Hollywood heads to the launch event for his collaboration with menswear brand boohooMAN, which features up to 200 pieces of trendy urban streetwear inspired by the Migos member! We chat with the man of the hour himself, as well as several other fashion-conscious celebrities on hand to help him celebrate! DanRue, AKA DancingDan, explains how Quavo is a cultural icon; "The Bachelor" contestant Caelynn Miller-Keyes tells us which of her fellow castmates had the most style; model Shaun Ross talks about his own style evolution; and rapper Saweetie reveals her number one fashion requirement. Plus, they give us their own 3 most important fashion tips!